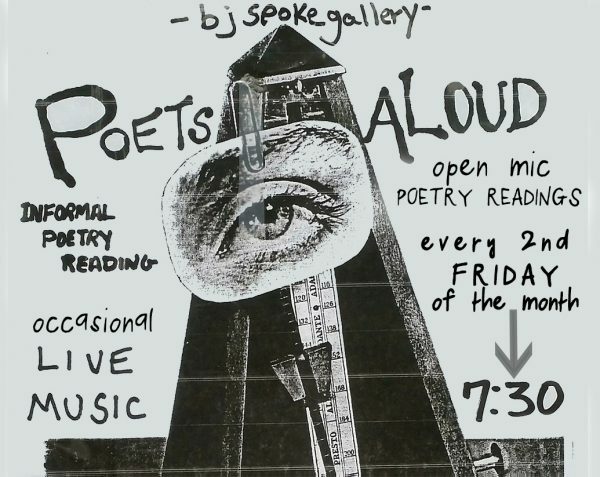 Every month poets and poetry lovers meet at b.j. 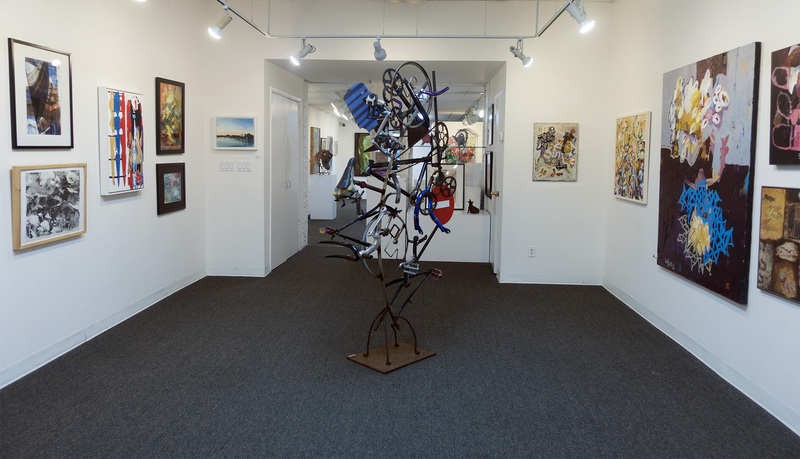 spoke gallery for Poets Aloud. The group was founded and is led by poet, Kelly Powell and b.j. spoke artist, Kevin Larkin. Poets Aloud is opened to all those interested in sharing their poetry or just listening. Reading is not required. The night is filled with open mic poetry readings, occasional guest poets, writers, and musicians. Free to attend. POETS ALOUD meets on the 2nd Friday of each month at 7:30pm.